Who is going to accept responsibility for the Rotterdam Kunsthal art theft? We hear bad news all the time, but I my stomach is in knots over the Rotterdam Kunsthal art theft last night. I am deeply disturbed by the loss of culture from public availability – and this particular theft was a double attack on that. 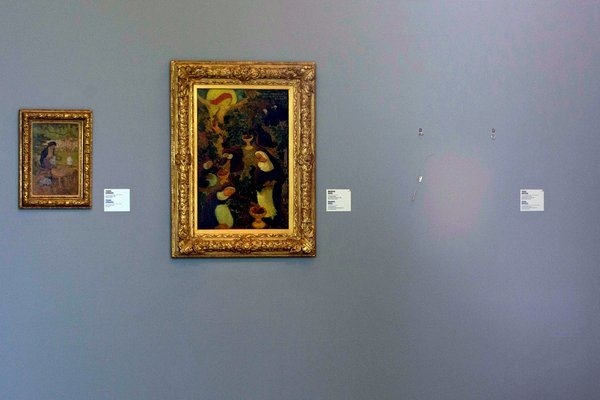 Europe has been deeply troubled by art museum thefts over the last few years – I am simply amazed by the unwillingness of European museums to put into place modern security measures. When a collector buys a painting, it usually disappears from public availability. When a thief steals a painting, it usually disappears from public availability. But in this case, the thieves apparently stole paintings that belonged to a private owner – and were being exhibited for the first time. Now, what collector is going to be willing to ever again allow his or her collection to be exhibited at the Rotterdam Kunsthal museum – or at any European museum? Of course, these pieces must have been insured (although one wonders what insurance company is going be willing to write such policies in the future), but can money actually compensate for such wondrous works? I hope that the thieves in this case are quickly caught and face stern punishment; but I also hope that everyone at the Rotterdam Kunsthal who was in the chain of decision making that led to the this lax security also accepts responsibility for this betrayal of trust: the trust of the lender, the trust of museum patrons, and the trust of society at large.